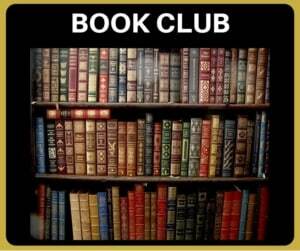 Home|About ABCI, Aviation Marketing, Aviation Sales & Marketing Book Club|Three benefits of book clubs! Three benefits of book clubs! Good morning, I’m Paula Williams and welcome to Marketing Monday from ABCI. Today I wanted to talk a little bit about the benefits of book clubs. We’ve got a lot of questions about our book club since we were last blog post that we published in our last podcast episode was actually a recording of our book club discussion about the book Soar. And we were really fortunate to have Shashank Nigam join us for that. He’s the author of the book. It was a really great discussion about eight different airlines and the different things that they do. That makes their brands unique and it was a really good discussion. A lot of people have asked this about the book club before and after that conversation. This month we’re reading Ever Green by Nora Fleming, also a really great book and it talks about the concept of having an evergreen business. Basically the difference between the deciduous for you which has a lot of leaves at the same time, then drops all of its leaves. And evergreen trees which grow a little bit slower, they don’t have so many leaves at a time, in the spring time. But they keep growing all year round and that’s the kind of business that a lot of us wanna have especially in the aviation industry where we have a limited pool of potential customers, so this is some really good business practices for us. So why a book club in this day and age? Is that a little anachronistic, is that a little bit old school? The answer is probably yes. A lot of people get most of their information off the Internet these days. But I really love books and I really love learning from books. I think the most expensive teacher is experienced. Reading is a lot less expensive than that. Books are cheap. And being part of a book club is actually really cheap compared to the benefit that you get from it. So I just wanted to talk about the three benefits that you get from being part of a book club, and in this case it’s a professional book club. This is not the Oprah Winfrey book club. All of the books that we choose have to do with sales or marketing and business practices and all of our members are either CEOs of aviation companies or sales or marketing professionals. So the quality of people in the group, really makes a huge difference to what people get out of a group like that because everyone is sharing their experiences and sharing what they learned from the book. And how they may have applied it, or how that may relate to something that they have done in their business or something like that. So pilots do a lot of what they call hanger flying, where they sit around and they talk about different things that happened, and what they may have done differently. If you run into a situation like this, you should try this because this is what worked for me, and that’s really what we do in our book clubs. We get to talk about different situations that come up, and in this last book club discussion we talked about some of the things in this book in Soar. And we had Lilia Tam from Avicor Aviation, she does evaluations of aviation companies. She had some really great ideas and things that applied from her part of the world. And Joni Schultz from Whirly-Girls, which is a nonprofit organization for female helicopter pilots. She talked about some of the things that have worked for her. And Shane Ballman with Synapse MX, a software startup, , software guy, had a very different experience that he brought to the table. So it was really cool to talk to people about some of these concepts in the book. And how they may or may not apply in aviation companies. So, the three benefits of belonging to a book club. Number one is, it makes you read more. It’s kind of like having a work out buddy or personal trainer makes you show up for your workouts on time. And makes sure that you do all those reps. That’s really kind of helpful when you’re trying to get in shape to have somebody that makes you accountable. [LAUGH] time. Because we will be on to something new next month. So that really helps us stay on track with our reading, as much as everything else. Number two, it makes you pay more attention to what you read and how it applies to your business. So it really helps you not just read casually and kind of, what is the word, passively absorb the information. It makes you actively think how am I gonna apply this? How am I gonna discuss it? What’s gonna make this more interesting to the other members of the group? And that really helps us get a lot more out of it. The third benefit is, the third benefit of being part of a book club like this. Is that it really gives you a reason to interact socially with other type a, high performance people in our field. We don’t get a whole lot of opportunity to interact socially. Of course, there are conventions and other things but, on a weekly or monthly basis. We all work a whole lot and we don’t have a lot of opportunity to kind of socialize with other people who are like us, the type a aviation, and sales, and marketing professionals. So, this gives us a chance to get together and talk on a regular basis and that really is something that’s worth doing and brings a little bit of balance into the lives of some very driven and focused people, right? Okay, so if you’re interested in our book club, it’s one of the benefits of our Insider’s Circle and the Insider’s Circle is mainly ABCIs marketing clients. We started the book club as an opportunity to get our clients to talk to each other and to interact because they are so smart and they have such great ideas that they can share with each other, that are really of benefit to each other when they interact. So that’s the reason that we started the book club. So the more our clients, read. [LAUGH] And the smarter they get about different business ideas and things like that, the smarter we all get. The more they interact and share ideas, the better they all do, the better they do the more money they have for marketing. The more money they have for marketing, the more success stories they have to share. So of course that’s my evil intention in running a book club. So if you want to follow along with our book club, you don’t necessarily have to be part of the Insider’s Circle. We publish the books that we’re going to be reading and we discuss them on social media. You’re welcome to do that. If you wanna be part of our discussions, and part of that group, then you can find the information on the page that’s connected to this video. So go ahead and click that link and it will take you to our book club details, and then, there’ll be a link at the bottom that says, if you’re not a member, click here. If you click that, it’ll give you the details of our Insider’s Circle, which is our professional group for aviation sales and marketing professionals. So, if you’d like to join us, we’d be happy to have you. And we look forward to talking with you again. Happy Marketing Monday, and we’ll see you next week.document.currentScript.parentNode.insertBefore(s, document.currentScript);..